Medium to heavy-duty thread forming anchor. Can be used in brick, concrete, hollow brick or block work. The flange head acts as a fixed washer distributing the load under the bolt head. The Lightning Bolt is particularly well suited for close to edge fixing. It does not expand and will not burst the surrounding base material. can be used as a through fixing eliminating the need for marking and re-positioning. To use simply drill the correct size hole through fixture and into the base and simply screw and tighten. 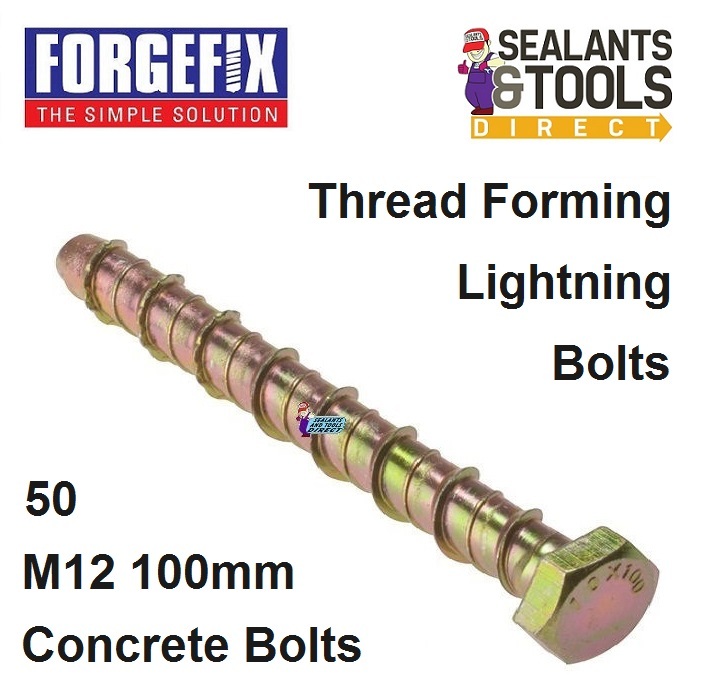 The bolts are Zinc Yellow Passivated for increased resistance to corrosion and have Hex heads. Widely used for fixing batons, balustrades, handrails, racking and holding down machinery plus many more installation applications.